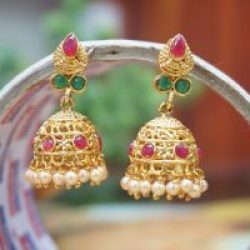 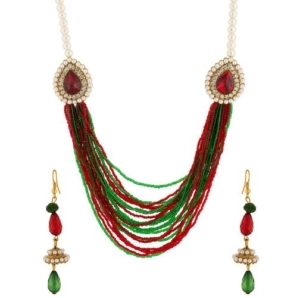 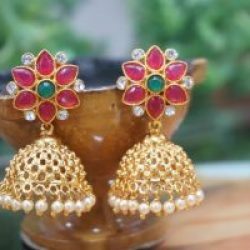 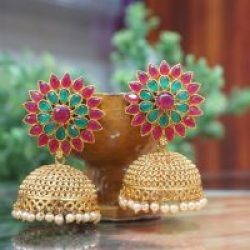 Reeti Fashions – Multi Strings And CZ Embellished Necklace Set. 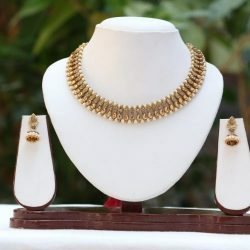 A perfect pick this season to give your traditional look and edgy makeover with this contemporary yet ethnic necklace set in gold tone. 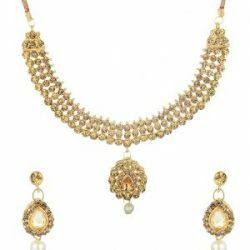 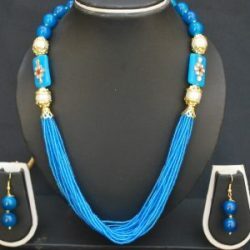 Pearl beads strings and beaded design with CZ embellished motif on either side makes this necklace set a standout piece.